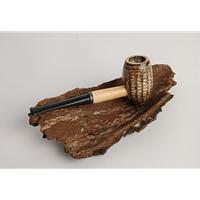 The Country Gentleman is a filtered pipe with a large bowl and a distinctive look. Dark stain has been added to the bowl to give it a unique appearance. This pipe is a filtered Straight pipe.